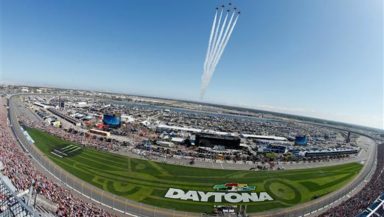 During the Monster Energy NASCAR Cup Series 60th Annual Daytona 500 at Daytona International Speedway on February 18, 2018 in Daytona Beach, Florida. Photo by Brian Lawdermilk/Getty Images. The best of the best, a legacy that has given us 70 championships since 1949. 33 individuals have been able to lay claim to the crown. Three men have won it seven times. To be a champion immortalizes you, but so does excellent performance. A driver can win, but fail to grab a title. He can also rack up Top Fives and Top Tens, even if he fell a tad short in claiming the checkered flags earned by his competitors. A few names might surprise you, at first. Yet, when ranked for most championships, wins, Top Fives, and Top Tens, these are the 20 best NASCAR has had to offer in the driver’s seat over 70 seasons of motor mayhem. I bet there is no argument that the King leads the parade. Three of those boys will be out to add to their accomplishments this weekend. The Daytona 500 is coming up this Sunday, a time for new beginnings and a time for bringing things to an end. After 15 years and over a thousand columns of various incarnations, this edition represents my final regular contribution to this site. I want to thank Barry Albert for providing a writing home for me back in 2004. My thanks to Angie Campbell for her editing prowess and her encouragement. I would like to give a shout out to Racing Reference, a website that helps a fellow make sense of it all, a great aid to such scribes as myself. Finally, thanks to you for joining me on this journey.